In honor of Veterans Day, Carnival Cruise Lines is hosting a special promotion during November offering savings of up to $400 per stateroom and up to a $50 shipboard credit per stateroom to active and retired personnel of the U.S. military and Canada National Defense. The promotion runs from today through November 30, 2013, and is valid on a wide variety of three- to 15-day departures to the Bahamas, Caribbean, Mexican Riviera, Alaska, Hawaii, Canada and New England through December 31, 2014. Military personnel can take advantage of savings up to $200 per stateroom and a $25 per stateroom shipboard credit on three- to five-day cruises, as well as up to $400 savings per stateroom and a $50 shipboard credit per stateroom on voyages of six days or longer. The promotion is valid for individual bookings only. Military personnel must provide proof of service. Eligible military personnel must sail to take advantage of this offer, which is available in conjunction with the line’s Fun Select fares. Certain other restrictions apply. Carnival is “The World’s Most Popular Cruise Line®” with 24 ships operating three- to 16-day voyages to The Bahamas, Caribbean, Mexican Riviera, Alaska, Hawaii, Canada, New England, Europe, Panama Canal, New Zealand, and the Pacific Islands. 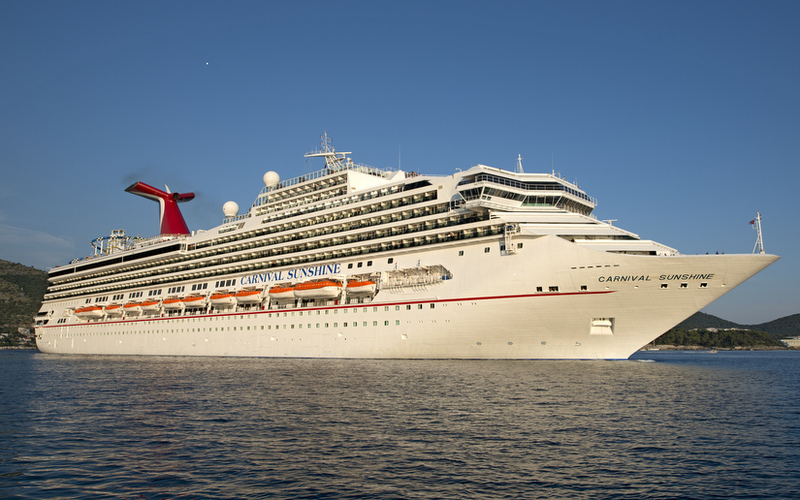 The company’s 25th ship, the 135,000-ton Carnival Vista, is scheduled to enter service in 2016. Vote for Your Favorite Photos in Carnival’s Vacation Anticipation Contest!